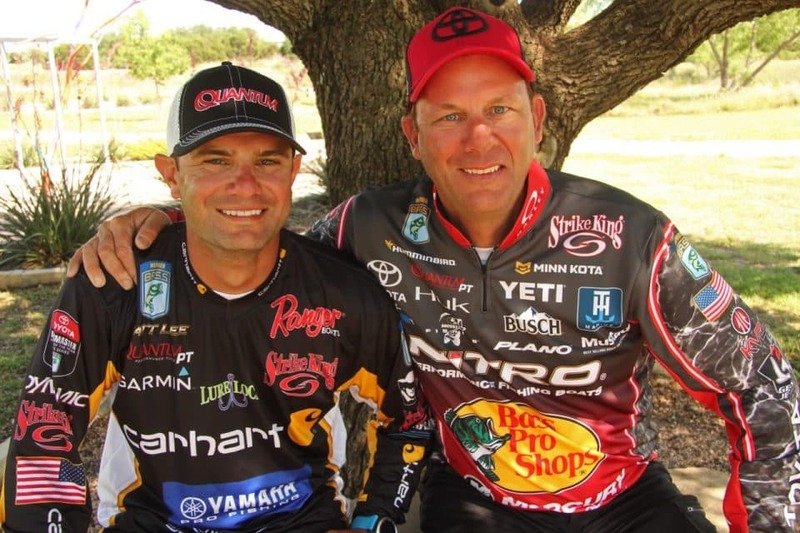 Two of professional bass fishing’s classiest guys, Matt Lee, who is getting married in 16 days, and Kevin VanDam who has been married for 26 years, gladly took a break from the 95-degree sunshine in Central Texas to sit in the shade and answer a few questions about this week’s Toyota Bassmaster Texas Fest to Benefit Texas Parks and Wildlife Department that starts Thursday on Lake Travis. Q: Lake Travis is super healthy and full of fish. What’s the most number of bass you caught in a single practice day here this week? Q: Name two lures we’ll see Elite Series pros slinging on Lake Travis to try to catch a big fish that will go a long way in separating themselves from the pack? Q: There’s a lot of clear water on Lake Travis. Will the front deck of your boat be more full of Quantum spinning reels, or baitcasting reels? Q: When the scales stop spinning after Day 1 – how much weight would you guess the guy sitting in 20thplace will have? Q: The hilarious and talented B.A.S.S. photographer, James Overstreet wants to know, if you could only eat one species of fish, what would it be? Townsend & James win Volunteer Bass Trail Chickamauga event with over 31 pounds!! Includes 10.13 Big Bass! 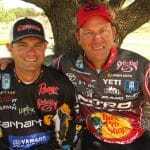 Smith & Carson win Carolinas Bass Challenge Lake Hickory event with over 21 pounds!